Tablecruncher for Mac provides an export function to easily achieve this task. A CSV file can be either stored as an array of arrays, where each line is represented as an array. 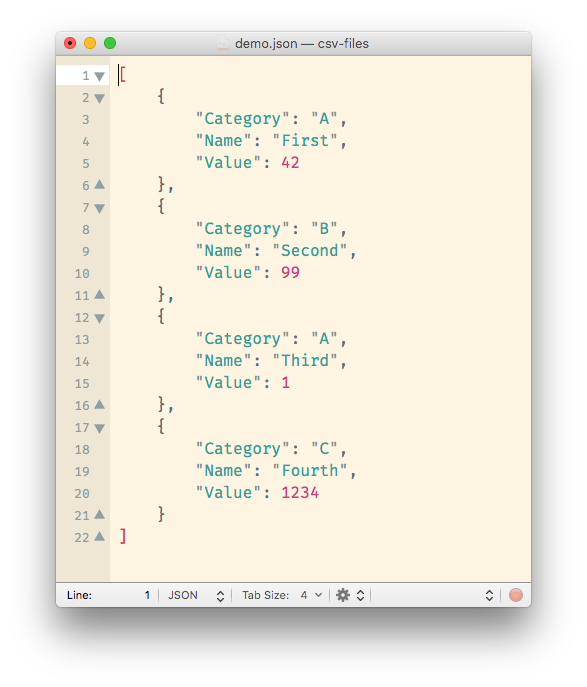 Or it is stored as an array of objects, where each line is an object with the header names as the key and the cells from the line being the values. But let’s look at an example to better understand the difference. 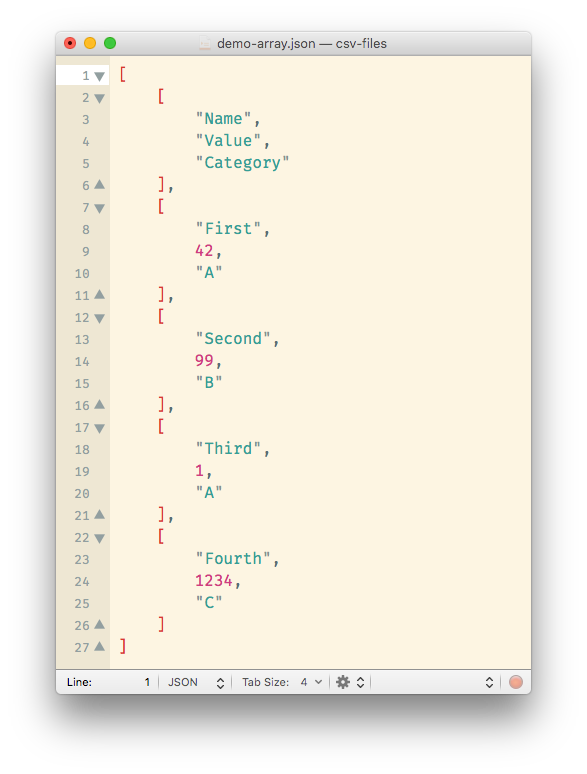 We’re using a simple file to show how easy it is to convert a CSV file to JSON. Please look at the header row, where there are header names “Name”, “Value” and “Category”.